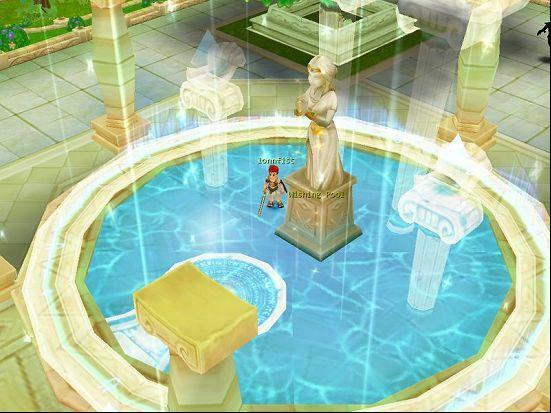 Newly remodeled Wishing Pools have been unveiled in GodsWar, and besides the aesthetics and splendid goddess looming above, the Wishing Pools are literally places where your wishes for skills come true. 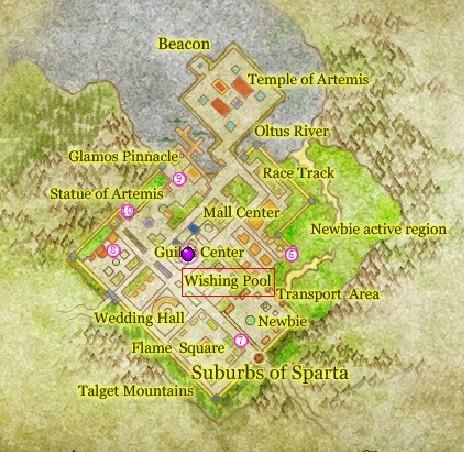 Check out the Wishing Pools in the two main cities, Athens and Sparta. 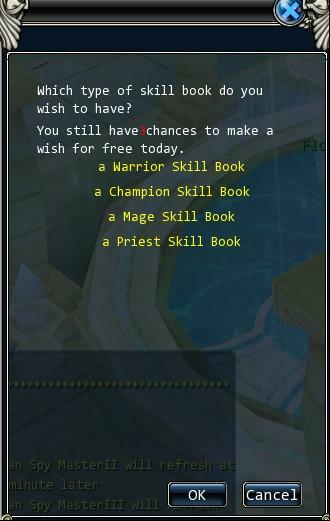 Each player is granted 3 chances to make a wish for free, and there are options of class-matching skill books that a player can wish for, however, skill books obtained from the Wishing Pools are untradeable. There must be an interval of at least an hour between two wishes. Keep in mind, you need to be at least Level 30 to make a wish. 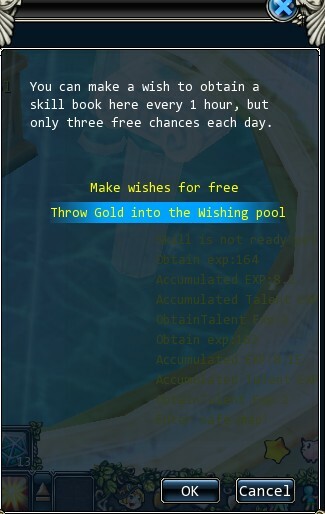 You can choose to spend 230 gold on one wish. The cost will greatly improve the chance of obtaining advanced skill books which are tradeable. In addition, there is no limit to the times allowed. 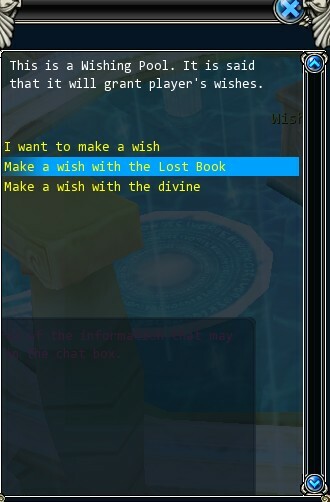 You can use a Lost Book or Incomplete Lost Book to make wish form the Wishing Pools(5 times at most) and obtain various rewards randomly. At Olympia, Poseidon and Apollo are two of the most generous gods. 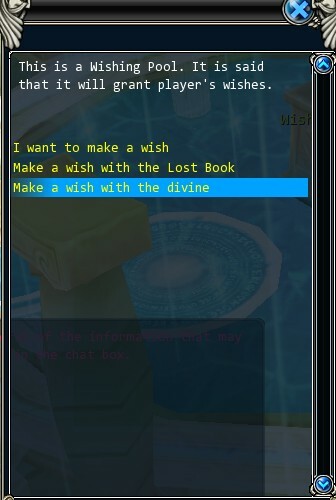 If you make a wish to them and its granted, you'll get a rich Exp reward. But keep in mind that these two gods are competitive and often fickle. When one of them generously grants one of your wishes, it's probably because the other one would not. 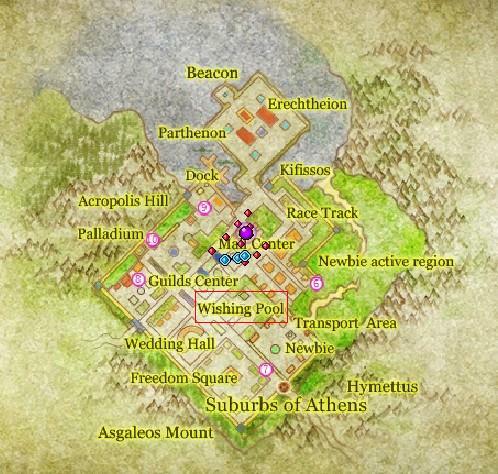 If you choose the God who will grant your wish correctly twice in a row, your prizes will double! There must be a 5-minite interval between wishes. 10 wish attempts are allowed per player per day.